With mobile apps from Mazda, you can now keep track of your used or new Mazda car and get help when you need it no matter where you are. When trouble strikes, the Mazda Roadside Assist App will be there for you with GPS technology to dispatch roadside service to your exact location anytime day or night. And with the MyMazda App, you can easily find where you parked, schedule an appointment at our Mazda service center, or save coupons. Calibrated to your mileage, this app keeps you up-to-date with a factory maintenance schedule and service history log. And, the GPS services makes sure you never forget where you parked. To download one or both of these apps, click on the appropriate links below. 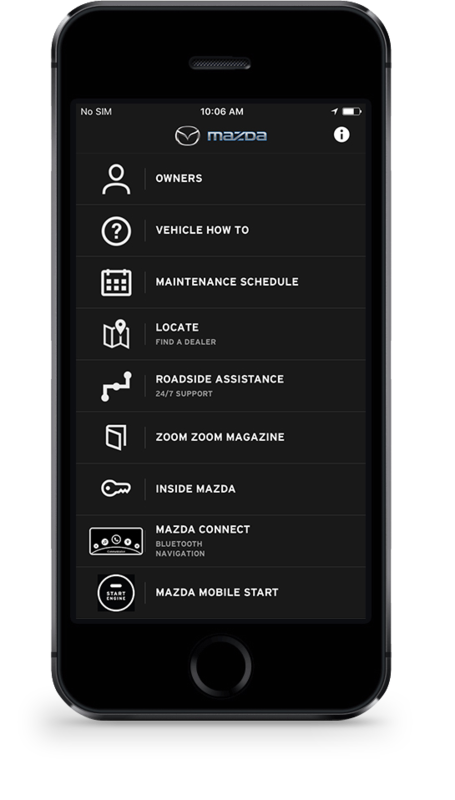 If you have any questions or would like to learn more about the Mazda Mobile apps, please feel free to call us or contact Grieco Mazda of Delray Beach online. We look forward to hearing from you at our Mazda dealership near Royal Palm Beach, FL.